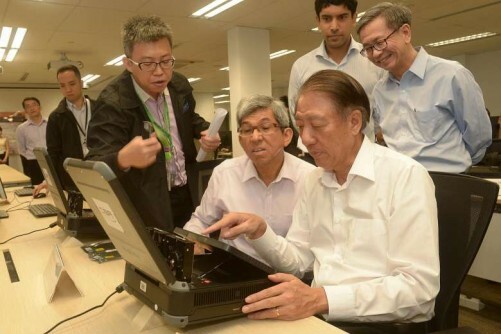 Singaporeans were yesterday urged to join the information and communications technology (ICT) sector, which is set to be "abundant" in opportunities and growth potential. Minister for Communications and Information Yaacob Ibrahim made the call, stressing that he needs Singaporeans due to the security concerns of some ICT sectors, particularly cyber security. The Ministry of Communications and Information will raise the issue during the upcoming Committee of Supply (COS) debate, he said. "I hope young Singaporeans will consider this as a career of their choice, because the opportunities are certainly abundant," he said during the Car-Free Sunday event. "Cyber security is one big area that I need more Singaporeans. I need Singaporeans because of the security concern. I think there will be a lot of growth potential." Dr Yaacob said that during the COS debate, he will talk about programmes that will encourage people to stay in the sector and help them develop. He added that many industries depend on IT, and it can reduce the reliance on foreign labour and improve productivity. Healthcare will be a big area in relation to that, he noted, saying that Health Minister Gan Kim Yong will elaborate on this issue during the COS debate. Dr Yaacob said there is a "talent gap" in the ICT sector, exacerbated by the demand created as a result of the Smart Nation initiative. According to Infocomm Development Authority (IDA) figures, there were 150,000 technology professionals working in Singapore in 2014, while about 15,000 vacancies could not be filled. By next year, another 15,000 specialists may be required in fields such as cyber security, data analytics and application development, meaning that Singapore may find itself short of nearly 30,000 information technology professionals. Asked if the ministry will prioritise the growth of the Singapore core within the ICT sector, Dr Yaacob said: "There has to be a judicious mix between Singaporeans and non-Singaporeans. We cannot pretend that we have produced enough babies for everyone to get into the ICT sector. "So, there are other demands in other areas, right? So, finding that balance is something we have to work with the Ministry of Manpower and other agencies. "The most important thing is to ensure that Singaporeans see this as a growth area for them. So, this will give long-term jobs, which I think will be the good- paying jobs."